Monty Roberts and Join up: http://www.montyroberts.com– Please start here! Or at Monty’s Equus Online University which is terrific and probably the best Equine learning value out there on the internet (Watch the Join-Up lesson and the Special Event lesson. Inspiring!). This is where you get the relationship right with your horse. Where you learn to give him the choice of whether or not to trust you. Where everything changes when he does. Please, do this. Learn Monty’s Join-Up method, either from his Online University, his books, or DVDs. Watching his Join-Up DVD was probably our single most pivotal experience in our very short journey with horses. Even if you’ve owned your horse forever, go back to the beginning and execute a Join Up with your horse or horses. You’ll find that when you unconditionally offer choice to your horse and he chooses you, everything changes. You become a member of the herd, and your horse’s leader, and with that goes responsibility on his part as well as yours. Even if you don’t own horses, it is absolutely fascinating to watch Monty put a saddle and a rider on a completely unbroken horse in less than thirty minutes (unedited!). We’ve also watched and used Monty’s Dually Training Halter DVD and his Load-Up trailering DVD. And we loved his books: The Man Who Listens to Horses, The Horses in My Life, From My Hands to Yours, and Shy Boy. Monty is a very impressive man who cares a great deal for horses. http://www.imagineahorse.com– This is Allen Pogue and Suzanne De Laurentis’ site. I cannot recommend strongly enough that everyone who leaves this eBook Nugget ready to take the next step with treats and vocabulary should visit this site and start collecting Allen’s DVDs (he also sells big red circus balls). Because of his liberty work with multiple horses Allen has sort of been cast as a trick trainer, but he’s so much more than that. It’s all about relationship and foundation. We are dumbfounded by how Allen’s horses treat him and try for him. His work with newborn foals and young horses is so logical and powerful that you should study it even if you never intend to own a horse. Allen says, “With my young horses, by the time they are three years old they are so mentally mature that saddling and riding is absolutely undramatic.” He has taken Dr. Robert M. Miller’s book Imprint Training of the Newborn Foal to a new and exponential level. Natural Horsemanship: This is the current buzz word for those who train horses or teach humans the training of horses without any use of fear, cruelty, threats, aggression, or pain. The philosophy is growing like wildfire, and why shouldn’t it? If you can accomplish everything you could ever hope for with your horse and still have a terrific relationship with him or her, and be respected as a leader, not feared as a dominant predator, why wouldn’t you? As with any broadly based general philosophy, there are many differing schools of thought on what is important and what isn’t, what works well and what doesn’t. Which of these works best for you, I believe, depends a great deal on how you learn, and how much reinforcement and structure you need. In our beginnings, we more or less shuffled together Monty Roberts (above) and the next two whose websites are listed below, favoring one source for this and another for that. But beginning with Monty’s Join-Up. Often, this gave us an opportunity to see how different programs handle the same topic, which enriches insight. But, ultimately, they all end up at the same place: When you have a good relationship with your horse that began with choice, when you are respected as your horse’s leader, when you truly care for your horse, then, before too long, you will be able to figure out for yourself the best communication to evoke any particular objective. These programs, as written, or taped on DVD, merely give you a structured format to follow that will take you to that goal. http://www.parelli.com– Pat and Linda Parelli have turned their teaching methods into a fully accredited college curriculum. We have four of their home DVD courses: Level 1, Level 2, Level 3, and Liberty & Horse Behavior. We recommend them all, but especially the first three. Often, they do run on, dragging out points much longer than perhaps necessary, but we’ve found, particularly in the early days, that knowledge gained through such saturation always bubbles up to present itself at the most opportune moments. In other words, it’s good. Soak it up. It’ll pay dividends later. Linda is a good instructor, especially in the first three programs, and Pat is one of the most amazing horsemen I’ve ever seen. His antics are inspirational for me. Not that I will ever duplicate any of them, but knowing that it’s possible is very affirming. And watching him with a newborn foal is just fantastic. The difficulty for us with Liberty & Horse Behavior (besides its price) is on disk 5 whereon Linda consumes almost three hours to load an inconsistent horse into a trailer. Her belief is that the horse should not be made to do anything, he should discover it on his own. I believe there’s another option. As Monty Roberts teaches, there is a big difference between making a horse do something and leading him through it, showing him that it’s okay, that his trust in you is valid. Once you have joined up with him, and he trusts you, he is willing to take chances for you because of that trust, so long as you don’t abuse the trust. On Monty’s trailer-loading DVD Monty takes about one-tenth the time, and the horse (who was impossible to load before Monty) winds up loading himself from thirty feet away, happily, even playfully. And his trust in Monty has progressed as well, because he reached beyond his comfort zone and learned it was okay. His trust was confirmed. One thing the Parelli program stresses, in a way, is a followup to Monty Roberts’ Join-Up: you should spend a lot of time just hanging out with your horse. In the stall, in the pasture, wherever. Quality time, so to speak. No agenda, just hanging out. Very much a relationship enhancer. And don’t ever stomp straight over to your horse and slap on a halter. Wait. Let your horse come to you. It’s that choice thing again, and Monty or Pat and Linda Parelli can teach you how it works. http://www.chrislombard.com/ – An amazing horseman and wonderful teacher. 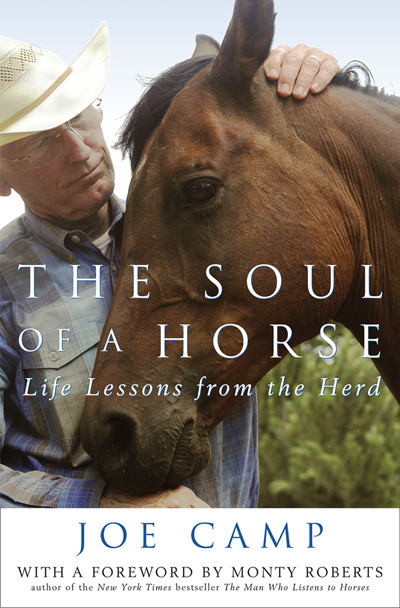 His DVD Beginning with the Horse puts relationship, leadership and trust into simple easy-to-understand terms. http://www.downunderhorsemanship.com– This is Clinton Anderson’s site. Whereas the Parellis are very philosophically oriented, Clinton gets down to business with lots of detail and repetition. He is not very relationship oriented but could well be the best teacher of all. Get your relationship right and then go to Clinton for leadership and it’ll be 1+1=3. What exactly do I do to get my horse to back up? From the ground and from the saddle, he shows you precisely, over and over again. And when you’re in the arena or round pen and forget whether he used his left hand or right hand, or whether his finger was pointing up or down, it’s very easy to go straightaway to the answer on his DVDs. His programs are very task-oriented, and, again, there are a bunch of them. We have consumed his Gaining Respect and Control on the Ground, Series I through III and Riding with Confidence, Series I through III. All are multiple DVD sets, so there has been a lot of viewing and reviewing. For the most part, his tasks and the Parellis are much the same, though usually approached very differently. Both have served a purpose for us. We also loved his No Worries Tying DVD for use with his Australian Tie Ring, which truly eliminates pull-back problems in minutes! And on this one he demonstrates terrific desensitizing techniques. Clinton is the only two-time winner of the Road to the Horse competition, in which three top natural-horsemanship clinicians are given unbroken horses and a mere three hours to be riding and performing specified tasks. Those DVDs are terrific! And Clinton’s Australian accent is also fun to listen to… mate. The three programs above have built our natural horsemanship foundation, and we are in their debt. The following are a few others you should probably check out, each featuring a highly respected clinician, and all well known for their care and concern for horses. http://www.robertmmiller.com– Dr. Robert M. Miller is an equine veterinarian and world renowned speaker and author on horse behavior and natural horsemanship. I think his name comes up more often in these circles than anyone else’s. 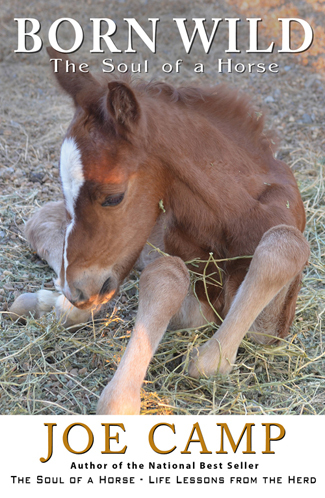 His first book, Imprint Training of the Newborn Foal is now a bible of the horse world. He’s not really a trainer, per se, but a phenomenal resource on horse behavior. He will show you the route to “the bond.” You must visit his website. Without Dr. Miller and Allen Pogue (above) our baby Stormy would never be what she is.